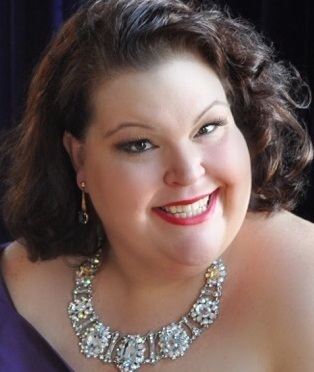 American mezzo-soprano Melissa Parks has earned plaudits from the New York Times for her “lush-voiced mezzo-soprano” and from Opera News for being “a fine singing actress” with “spot-on comedic timing”. Recent engagements include Mama McCourt THE BALLAD OF BABY DOE with Amarillo Opera, Ruth THE PIRATES OF PENZANCE with Opera Memphis, Fargo-Moorhead Opera and Amarillo Opera, Marcellina LE NOZZE DI FIGARO with Utah Opera, Katisha THE MIKADO for Performances Santa Fe, Zita GIANNI SCHICCHI for Salt Marsh Opera and Doris in the world premiere of Kevin Puts and Mark Campbell’s ELIZABETH CREE for Opera Philadelphia. A versatile artist whose repertoire embraces dramatic and comic roles from Mozart to 20th-century opera, Ms. Parks made her New York Philharmonic debut under the baton of Maestro Alan Gilbert as Mescalina in the NY premiere of Ligeti’s LE GRAND MACABRE. The New York Post proclaimed that “as Mescalina, Melissa Parks combined a firm mezzo-soprano with the high-camp mugging one would expect in the role.” She made her New York Philharmonic return as the Forester’s Wife / Owl in THE CUNNING LITTLE VIXEN. Both operas have since been commercially released by the Philharmonic on ITunes. In recent seasons, Ms. Parks has been engaged by the Metropolitan Opera for roles in both LA FILLE DU RÉGIMENT and AUFSTIEG UND FALL DER STADT MAHAGONNY. She performed Mrs. Peachum in Britten’s 1948 realization of THE BEGGAR’S OPERA under the baton of the late Maestro Lorin Maazel at his Castleton Festival. Ms. Parks made her Italian debut as Mrs. Lovett in the Italian premiere production of SWEENEY TODD which performed in Bologna, Modena, Lugo, and Piacenza. Among Ms. Parks’ other roles of a dramatic nature include Azucena IL TROVATORE (Michigan Opera Theatre), Ulrica UN BALLO IN MASCHERA (Virginia Opera), Erda DAS RHEINGOLD and Mary DER FLIEGENDE HOLLÄNDER (New Orleans Opera), Baba THE MEDIUM (Michigan Opera Theatre), and in ELEKTRA both the First Maid (Michigan Opera Theatre) and Third Maid (Seattle Opera). In the comic genre, Ms. Parks has been seen and heard as Dame Quickly FALSTAFF (Utah Opera, Cleveland Opera, Boston Youth Symphony), Marcellina LE NOZZE DI FIGARO (Pittsburgh Opera, Michigan Opera Theatre, Madison Opera), La Marquise de Birkenfeld LA FILLE DU RÉGIMENT (Opera Philadelphia, New York City Opera), both the Mother and the Witch HANSEL AND GRETEL (Chautauqua Opera, Palm Beach Opera), and Zulma L’ITALIANA IN ALGERI (Seattle Opera, Anchorage Opera). Justly acclaimed for her Gilbert and Sullivan roles, Melissa has performed well over 150 performances each of Katisha in THE MIKADO, Ruth in PIRATES OF PENZANCE, and Little Buttercup in H.M.S. PINAFORE, appearing with Opera Omaha, Nashville Opera, Chautauqua Opera, Utah Festival Opera, Augusta Opera, Cleveland Opera, Shreveport Opera, Pensacola Opera and Pittsburgh Public Theatre, as well as touring the United States with the New York Gilbert and Sullivan Players. Ms. Parks’ concert activity includes performances of Beethoven’s Ninth Symphony with the Tucson Symphony, the Madison Symphony, and the Ridgefield Symphony; Alto Soloist in Handel’s Messiah with the El Paso Symphony and the Fort Worth Youth Symphony; Alto 1 Soloist in Mahler’s Eighth Symphony with The Buffalo Philharmonic; and as the Mezzo Soloist in Verdi’s Requiem with the Utah Symphony under the baton of Maestro Keith Lockhart. Ms. Parks is an alumna of Philadelphia’s prestigious Academy of Vocal Arts (AVA). During her studies there, she won the Fifth Luciano Pavarotti International Voice Competition, and had the distinct honor of performing the roles of Dame Quickly FALSTAFF and Alisa LUCIA DI LAMMERMOOR on a Gala Concert with the acclaimed tenor.